What comes to your mind about “Otto Wagner“? The “Postsparkasse” and the “Kirche am Steinhof” or the light rail pavilions on Karlsplatz in Vienna – undoubtedly the great architect’s most famous works. 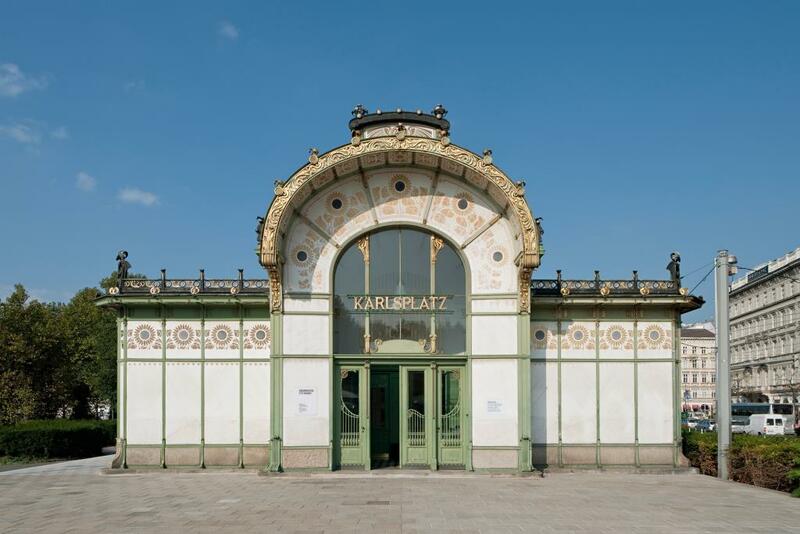 Just how extensive the work of this visionary really was is impressively documented in the current exhibition of his complete oeuvre in the Wien Museum on the occasion of Otto Wagner’s 100th anniversary of his death in the Wien Museum. A “must” for all those who walk through Vienna with open eyes. This name is more than fitting for Otto Wagner, who is still one of the most important architects at the turn of the 19th to the 20th century. His completed buildings, as well as the countless designs and plans of that time make clear how visionary and future-oriented the architect and artist acted. From his early competition submissions to the last plans crafted shortly before his death, a constant change is recognizable, adapted to the requirements of the respective time, to the purpose of the buildings and ultimately to people. On his way from historism to modernism, Wagner advocated functional architecture, incorporating new materials openly visible for the first time and a modern way of life into his work. These visionary ideas were not all shared at that time with traditionalists often hostile towards the forward-looking designs. This also explains why many of Otto Wagner’s projects, especially in Vienna’s public urban development, were not realised. Otto Koloman Wagner was born on 13th July 1841 in Penzing, Vienna. Father Rudolf Simeon Wagner, royal Hungarian court notary at the Hungarian Court Chancellery in Vienna, and mother Susanne lived in high middle-class circumstances. Rudolf Wagner died when his son was five years old. Despite the financial hardships caused by his father’s death, Wagner received a good education. After attending the Vienna Academic High School, the Stiftsgymnasium Kremsmünster and the Polytechnikum in Vienna, where he graduated, he studied mathematics, physics, descriptive geometry, technology and drawing, and from 1860 he attended the Royal Academy of Architecture in Berlin and the Academy of Fine Arts in Vienna, doing an apprenticeship as a bricklayer with a Viennese master builder in parallel. In 1862, the 21-year-old joined Heinrich von Förster’s studio. Thus he belonged to the circle around Ludwig Förster and Theophil von Hansen. In 1864 Wagner began to build independently in the style of historism – exactly in accordance with the style and the period of the great project of the new Ringstrasse in Vienna. 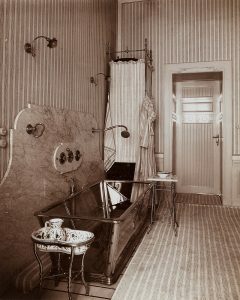 Participation in competitions in the imperial and royal monarchy and abroad, where Otto Wagner also won numerous prizes, consolidated his reputation. In the 1870s and 1880s he was mainly responsible for the construction of residential and commercial buildings (such as the Ankerhaus) and villas. In the 1890s, the construction of the Vienna light rail (Wiener Stadtbahn) system became tangible. Wagner was entrusted with the uniform design of the buildings and bridges of the light rail system as artistic advisor. 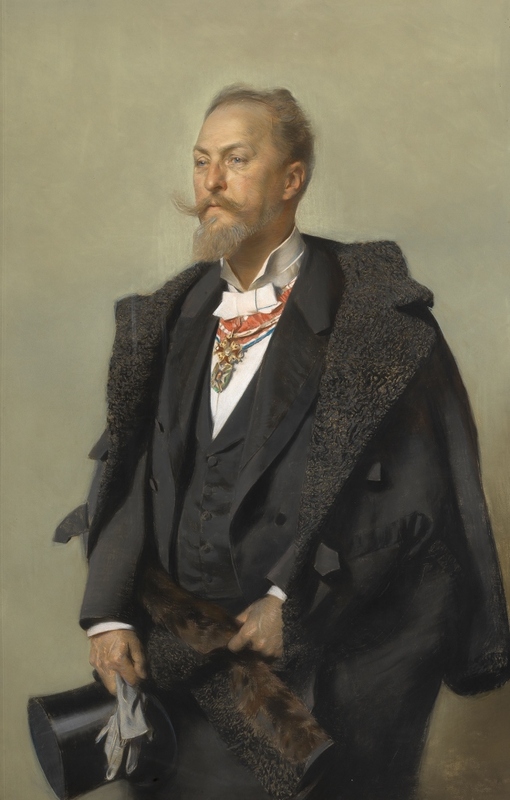 In 1894 Otto Wagner was appointed professor at the Academy of Fine Arts. The influence of the students had a lasting effect on Wagner’s work. He opened himself up to the contemporary influence of international Art Nouveau and became the father of the Vienna Secession. With the “Wagner School” he trained a group of modern architects according to his ideas and thus ensured the dissemination of his ideas. In 1898/1899 Wagner built three residential and commercial buildings on the Linke Wienzeile, among others the now famous Majolika House. At the same time, also during the construction of the light rail system, Wagner was involved in the design of the Nussdorf Weir. He was also involved in the construction of the church at Steinhof, which is one of Wagner’s main works, as well as the imperial and royal Postsparkasse – two key buildings of 20th century architecture. The Postsparkasse was the first purpose-build building derived entirely from its function. The church at Steinhof is considered the first modern church. The Majolica House, as well as the Postsparkasse and the church at Steinhof received a new, low-cost cladding, which became a trademark of the “cladding artist” Wagner. A whole series of designs for hotels, hospitals, churches, museums, ministries, etc. were created around these buildings, which are regarded as models for the metropolis of the 20th century – the “unlimited metropolis“, which Wagner published in book form in 1911 as a vision of the future. During this time he realized his last residential buildings, characterized by radical simplicity and reduction, concerning building, interior design and furniture. 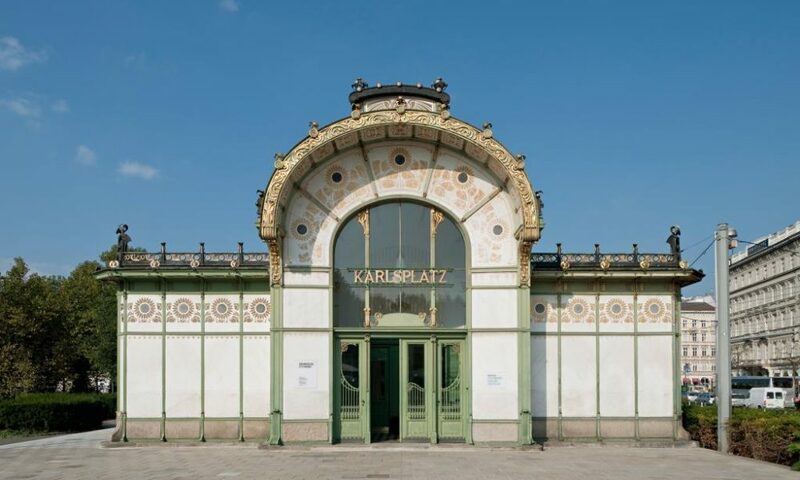 With countless building projects– the remodelling of the imperial palace, imperial and royal War Department and the imperial tomb and the design of Karlsplatz and many other projects – Otto Wagner had no chance due to his modern style. The visionary could not prevail against the traditionalists and their style of historism. On the eve of the First World War all construction projects were discontinued. Wagner shifted entirely to design activities and planned for the peace period after the war. The death of his beloved wife Louise in 1915 affected him deeply. In the last years of his life Wagner withdrew more and more. Nevertheless – the designs for barracks, victory churches and war memorials bear witness to the examination of contemporary themes right up to the end. Wagner died in April 1918 at the age of 76. The exhibition in the Wien Museum largely sheds light on the professional work of this exceptional urban planner. The successful architect also led an eventful private life. He did not marry the brew master’s daughter Sophia Paupie, but he had two sons with her, whom he adopted in 1882. In 1867 he married (at the urging of his mother) Josefine Domhart. He had two daughters with her. Shortly after the death of his mother, he divorced Josefine and married Louise Stiffel in 1884, his great love with whom he had three children and was closely associated until her death in 1915. My Conclusion: A gigantic collective exhibition on the artistic work and intentions of the great architect Otto Wagner – most of the approximately 500 exhibits come from the Wien Museum’s holdings, supplemented by top-class international loans; many of the objects will be on public display for the first time. Well worth seeing and interesting! Tip: Plan two visits in advance – the many interesting plans, designs, showpieces, models and pictures can hardly be grasped (and believed) in one go. For my part, I think it is a pity from today’s perspective that no more projects by Otto Wagner have been realised. 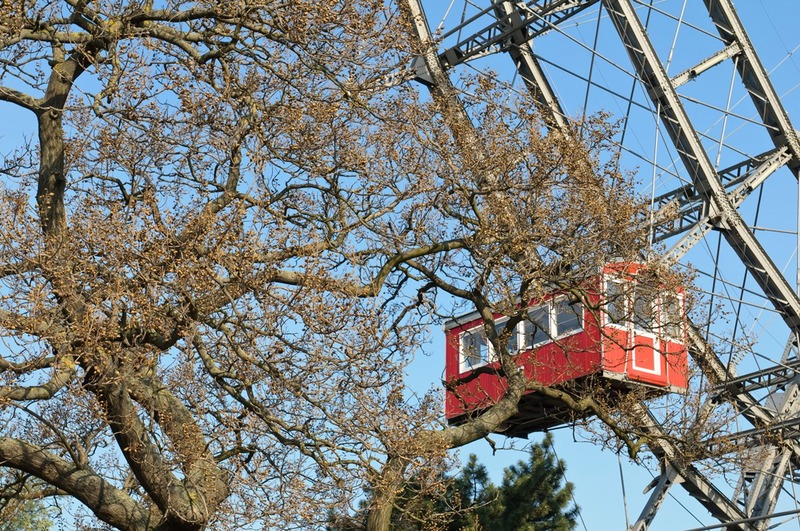 Vienna would look completely different in many places and – I believe – even more beautiful. Many thanks for your kind support. 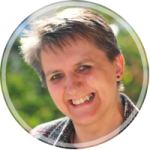 Cornelia Jarosch has managed marketing for the Schick Restaurants since 2003, with a special emphasis on the restaurant area. In Vienna Insights, she writes about her special topic, fine dining. She'll reveal historical details and insiders' tips on Viennese cuisine, as well as delectable recipes from the Schick chefs. Moreover, she'll report on cultural topics and on various events and excursion destinations that the beautiful city of Vienna has to offer. Keep in touch with Vienna Insight.